Opportunities to Compete, Perform & Excel! To elevate the academic standard and affirm one’s capabilities, UCMAS believes in the competitive spirit and instills that in the students. The International Grading Exam (IGE) is a standardized testing system set by the UCMAS Global Principal Office in Malaysia in accreditation with the Chinese Zhusuan/Abacus Association (CZA). 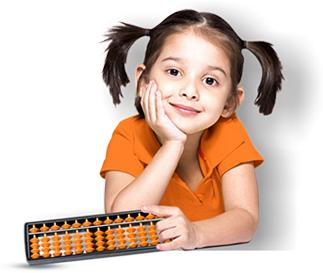 An International Certificate is awarded to each participant and they are given the freedom to select Abacus and/or Mental category based on the child’s capability/preference. The UCMAS Competitions are one of its kind events with children attempting 100-200 math problems in just 8 minutes! Annual Competitions are held for UCMAS students at Provincial/State, National & International Level which act as an arena to face the competitive spirit & challenges. These Competitions are divided in various categories & age groups and students are provided with certificates, medals & trophies for their achievements. UCMAS Graduation Ceremony is the most awaited annual event. It is organized to recognize the achievements of UCMAS students who successfully complete the program. Graduation is awarded to every UCMAS students who clear level assessment test for Advance level and passed the (IGE) Grade 3 (Mental). Each graduate receives an individualized plaque and certificate for themselves. It’s our way of a sincere appreciation, recognizing the years of hard work put in by our students.